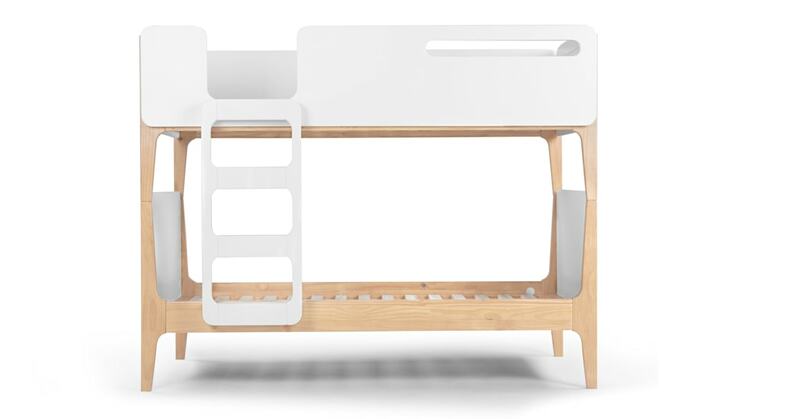 Imagine how exciting a bunk bed like this would be. Not only does it make sharing a room or hosting friends more fun, it saves valuable floor space, too. Plus it’s rigorously tested for safety. The top bunk also has a cutaway panel at the top of the ladder, so you can wish them goodnight when they’re tucked in. The bottom one is open for easy access, and to show off stylish bed linen.